I’ve been reading all the opinions about the FCC’s proposal to change the rules regarding America’s 77 Class A (formerly known as clear channel) licensed radio stations. Supposedly, all being done to “revitalize” the AM broadcast band. Like giving AM radio stations an FM translator does nothing to revitalize AM radio listening, neither – in my honest opinion – does this bright idea either. The FCC’s plan is to allow AM radio stations to retain their daytime power at night, politically correct though it may be the laws of physics play by no such rules. And we don’t have to wonder about the consequences, because to some extent this type of thing has already been initiated with 1,000/250 licensed stations maintaining a full 1,000 watts day and night, and it didn’t work. First, I don’t have a dog in this fight. So what I’m about to say is not to benefit one side or another. These are my own opinions. My first GM job was running a daytime 1,000 watt radio station with no pre-sunrise or post-sunset authorization. We signed on with local sunrise (7:15am in the winter) and signed off at local sunset (4:15pm in the winter). I was at my desk before my radio station went on the air about half the year and I remember writing commercial copy for an advertiser I’d sold that day as my radio station was playing the Star Bangle Banner to sign-off for the day. When that carrier was turned off, WBT from Charlotte, NC would come booming in. I know the pain of being a small radio operator. Today, such a radio station has probably obtained a 250-watt FM translator and has its programming appearing on local FM radios in addition to their AM signal. Ever listen to any of these radio stations? I have, when I take road trips. I’m listening to their AM signal but they only identify themselves by their FM dial position. The clear channel signal designation goes back to the Radio Act of 1927 and the creation of the Federal Radio Commission (FRC). The FRC immediately went about creating a number of national “clear channel” AM radio stations that would be superior in quality broadcast content and with enough power to be heard over an entire region. Their signal would be on a frequency that would have no competition. Lower power AM radio stations would be relegated to a complex system of frequency sharing. The FRC was later replaced by the Communications Act of 1934 and the establishment of the Federal Communications Commission (FCC). The FCC was put in place to be the “cops” of the people’s airwaves and protect those airwaves from being misused or interfered with in any way. The FRC operated under the belief that it would be better for America to have fewer radio stations of higher quality than lots of radio stations that were mediocre. The FCC, mainly through deregulation, has lost that mission. For broadcasters it meant less oversight – which they didn’t mind – but it also meant that the FCC wasn’t looking out for their interests when it came to policing things that might interfere with the AM broadcast band. You see the FCC regulates (or not) those things that now are the bane of AM radio. Things that, like Mother Nature’s lightning, interfere with AM radio signals – light bulbs, power lines, computers etc. By the way, it was lightning’s interference with AM radio that was the impetus for Edwin Howard Armstrong to invent frequency modulation or FM radio. FM is how the audio gets to your TV set. It was AM radio that I grew up on. It was AM radio that attracted me to a radio career that spanned over forty years. 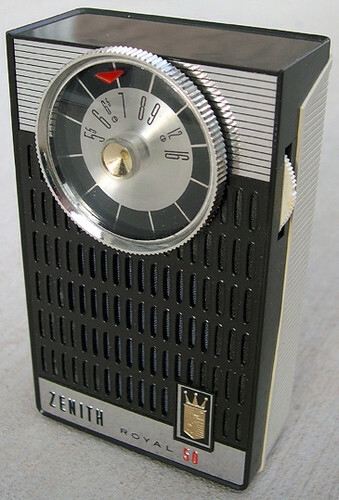 And I believe that AM radio should be preserved, because it is low tech and is the signal most likely to be around after some event that takes out everything digital – which today is just about everything. However, I also ran a news/talk AM radio station once that people depended on in emergencies and that was the problem. They didn’t think about it any other time. So I’m very aware that to be viable, a radio station needs to program something that people want/need even when there’s no emergency affecting their lives. So here’s my “bright idea” to save AM radio. Eliminate Class B, C and D AM radio stations, sign these signals off and let them make their current FM translators their whole radio station. First, they will be able to liquidate the land their AM antenna farm sits on and at the same time reduce their operational costs. They already are identifying by their FM translator’s dial position and local residents have most likely made the switch. For America’s Class A (formerly known as clear channel class stations), I proposed a HUGE power increase, like to 250,000, 500,000, 750,000 or a million watts for these current 77 stations. I would also propose a study be done of AM radio stations, not currently licensed as Class A being reviewed for such a designation, but with a power of say only 50,000 or 100,000 watts to deal with specific geographies and locations of America. There’s simply no way to put the “noise genie” back in the bottle that causes AM radio such grief. My hope would be (and you radio engineers feel free to weigh in here and set me straight) is that by removing a lot of the AM radio clutter caused by other AM radio stations and increasing the power of the few remaining stations, we might cause these stations to be really listenable in more (most?) situations. I would also regulate these new high power radio stations in the same way that the FRC proposed when they established them. These would be stations that would create original programming. They would be operated by entities that would operate in the public interest, convenience and necessity. They would be a low tech backup in a high tech world. They would have the scarcity of competition that should make them economically viable because of their attractiveness to advertisers. They would tie the country together in the event of a disaster. If a local dominant AM radio station was taken out by a disaster, the other high power stations, not similarly affected would be able to be heard and assist the affected area. This situation happened years ago in Kentucky when floods put Louisville under water and Nashville’s 650AM-WSM stepped in to provide residents with the information they needed. 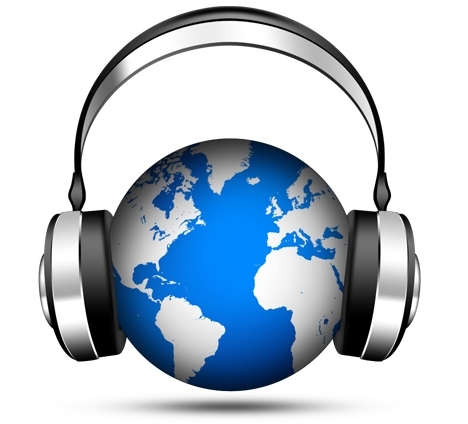 AM radio that provides solid information and yes, even entertainment, would get listeners. But even more importantly, it would provide America with a life-line in times of emergencies that digital communications has been shown to fail.